The function of this change is to make it easier for you to schedule jobs with other agencies. 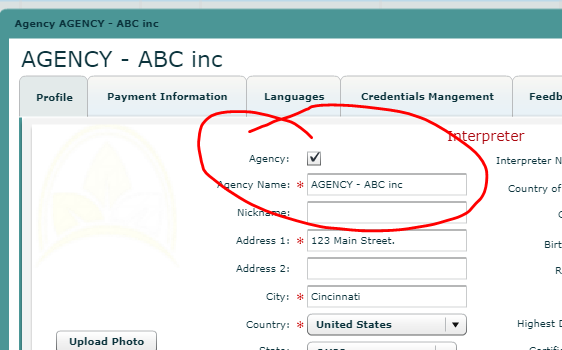 If an interpreter is designated as an agency (by checking the box) they will show as available for all jobs for which they have the required language. Since they are an agency with multiple interpreters available, there is no concern about double booking when offering them the job or when they accept the job. When you check the box, these factors are not considered and this interpreter will appear in the list of available interpreters as long as the necessary language is in their list of languages.